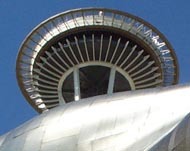 The EMP is nestled gently between the Space Needle and a small amusement park, both from the 1962 World's Fair. This is the perfect location for this museum, both from an architectural and a psychological stand point. If you are planning to go anytime soon, here is my best advice. Purchase your tickets in advance and go early. The Jimi Hendrix exhibit already had a long line at 11:00 AM. 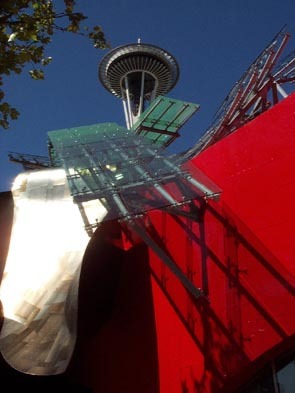 EMP is well worth seeing.